Unsurprisingly, I watch quite a lot of TV. 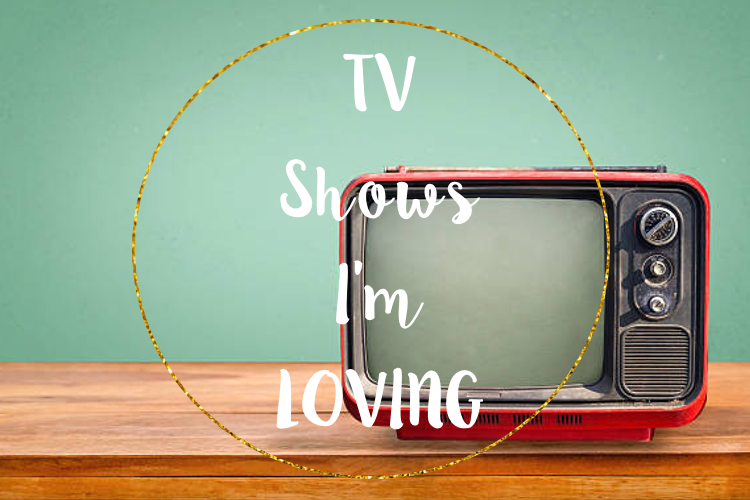 I'm loving quite a few shows at the moment on a variety of platforms and I'm going to list them for your reading. You might find a new show that you can binge! 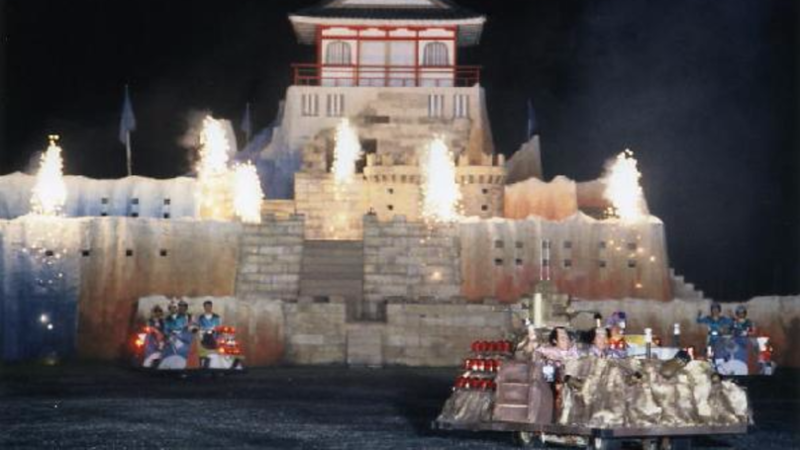 If you watched Challenge (a UK TV channel) at all in the late 90s or early 00s, as well as a very young Chris Tarrant hosting Who Wants To Be A Millionaire you would see a show called Takeshi’s Castle. It’s a Japanese game show where 100 “warriors” take on Takeshi’s Castle (an actual guy called Takeshi by the way, or a papier-mâché head if he wasn’t there) to try and defeat him and his emerald guard. You should seriously watch it, the games are mad in a way only the Japanese game shows can be and there’s some class outfits on show too. It’s commentated by Craig Charles (the Jonathan Ross one isn’t great) and he makes it, with phrases like “as my old grandad used to say” and “wakey wakey, for heavens sakey” making it a great watch. You can watch it on Challenge catchup and on YouTube. I was recommended to check out this show via Snapchat - Cosmopolitan listed this as a show for me because of my star sign. 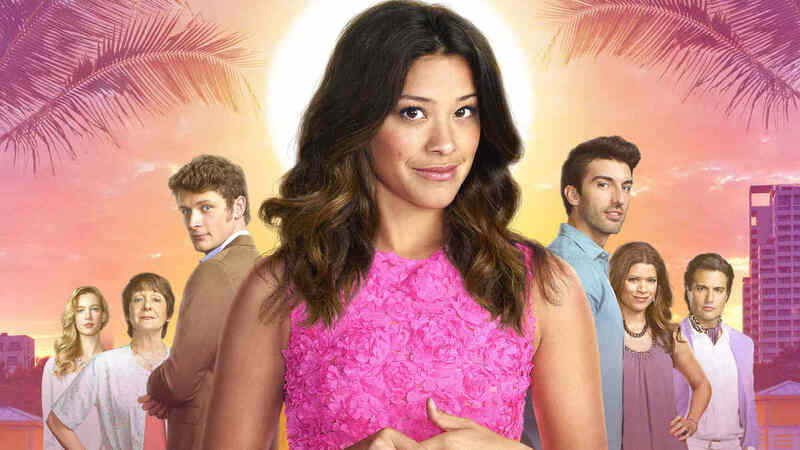 I usually ignore these, but decided to see what Jane The Virgin was all about. By the end of Episode 1 I wanted to find out what happened to the complicated but intriguing characters. The storyline is fairly straightforward: a girl called Jane (who is catholic and therefore saving herself for marriage) get artificially inseminated by her doctor accidentally and then lots of drama happens that takes way too long to explain. Fast forward 4 months and I’m all caught up on 4 seasons of the show and am eagerly anticipating the next episode to be on Netflix on 3rd March. It’s streaming on Netflix everywhere, see what it’s all about HERE. If you’re in the US, it airs every Friday on CW. 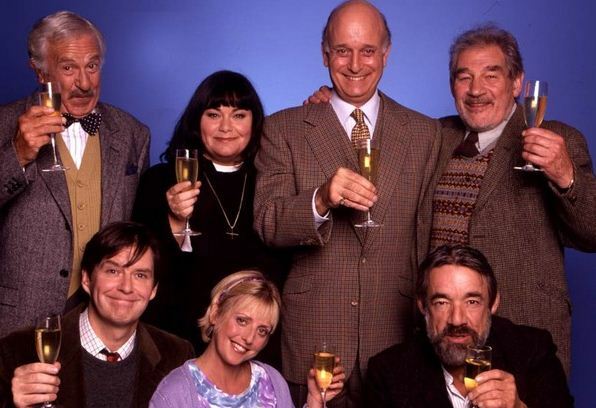 British comedy has a lot to exhibit, and The Vicar of Dibley is one of those great series that will be relatable through time. It depicts life in a tiny village with a female Vicar and the weirdos that make up the village’s parish council. It’s so funny and I love watching every episode, there’s little bits that are always missed. It’s available on catchup services and a playlist of episodes is on Dailymotion. 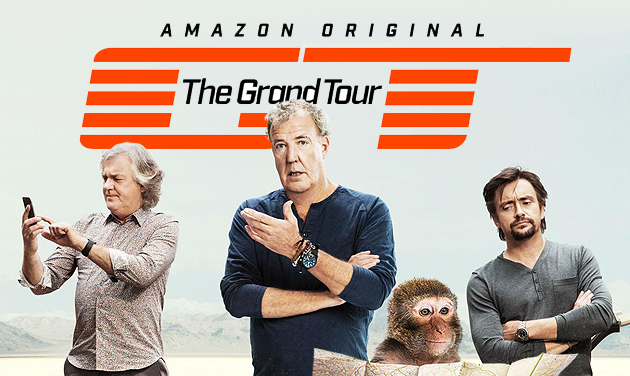 Since the end of Top Gear for Jeremy, James and Richard, I’ve loved watching The Grand Tour. I love the cars on the show, as I’ve mentioned in my last post and the challenges are always fun to watch. The three presenters make it and the second season is their best yet. It currently streams on Amazon Prime Video and is free to view for Prime members. It’s pretty weird to say that I love watching the news, but I watch it everyday that I can - it’s a staple of my lunchtime. Among all the news options these days, I just love ITV and their great presenters and correspondents, they all work so hard. I may have mentioned it once, or twice (or 50 times) but I went to shadow the ITV News team last year - I wrote a post all about it which you can read HERE. You can catch ITV News on ITV weekdays at 1:30, 6:30 and 10PM. It’s on at varying times at the weekend due to what’s on telly that day, so check your local TV guide. You can also view the day’s news on the ITV News website or download the app. That rounds up my TV shows that I’m watching at the moment. Any favourites you’ve got that I should check out? Let me know below! Thank you for commenting! I like having shows that I can watch regularly, and then go back to my favourites that I really connect with. Aahh the Vicar of Dibley is amazing and Dawn French is absolutely hilarious! I have bloody LOVED this season of The Grand Tour. More so than the first. I'm so sad it'll be finished tonight! I think they've evolved so well from Top Gear and you can see how much budget and freedom they have on TGT in comparison to what they had on TG. I'm keeping my fingers crossed for a season 3. Yes! I'm only on Episode 3 of this current season so need to do some catching up, but I'm sad it's an end too. As you said I hope there's a Season 3, but I'd be so surprised if there wasn't. Vicar or Dibley will always be a classic in my house! Still has me crying with laughter!